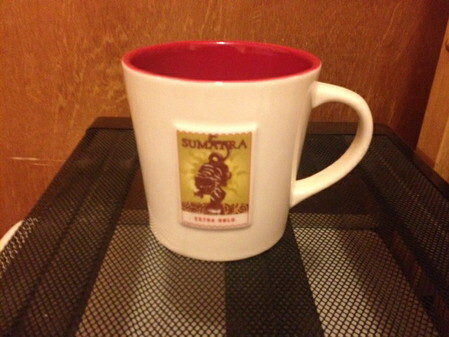 Raised stamp style mug. 16 fluid oz. red interior, red bottom.